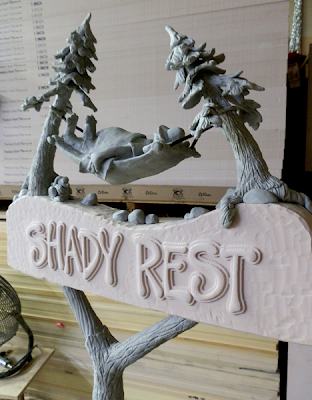 Today, I finished the sculpting on the Shady Rest sign. 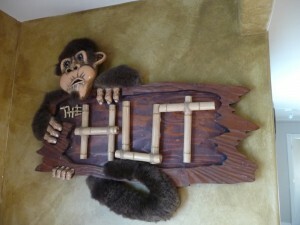 It was fun to add all the small details such as his wiggly toes, his big belly and the had pulled down low over his eyes. This guy is out for the count. 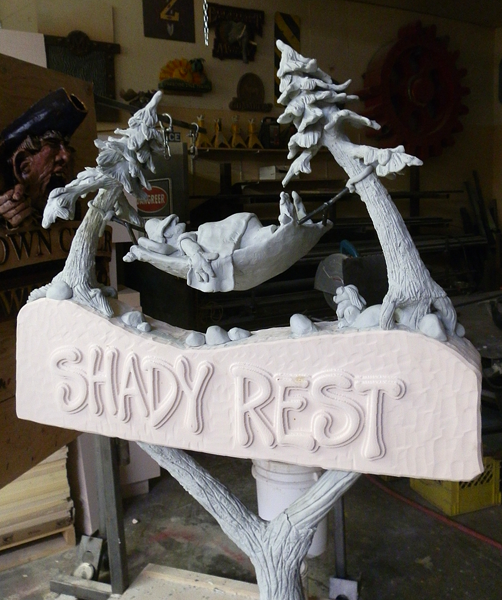 A bunny sneaks up below – not worried by the fellow sleeping overhead. The sculpted tree foliage was a first for me and I was pleased with the result.